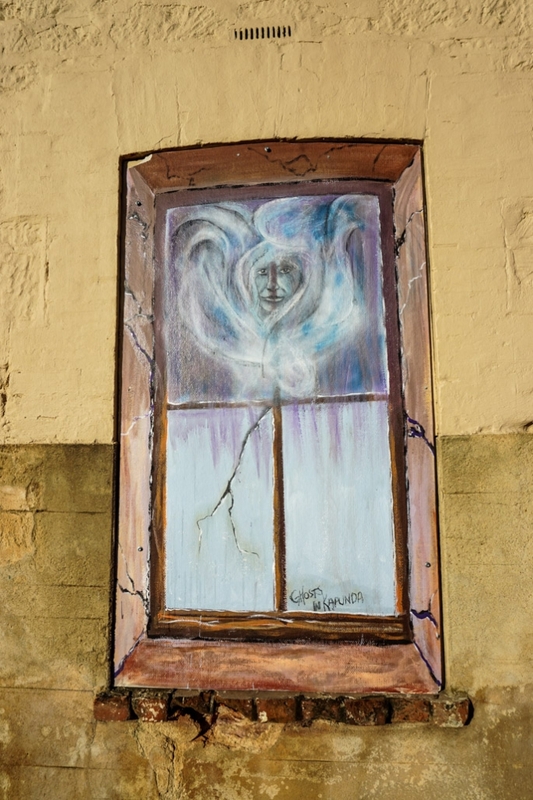 Is The North Kapunda Hotel Australia's Most Haunted Pub? Kapunda is an unsuspecting and quiet country town in rural South Australia. 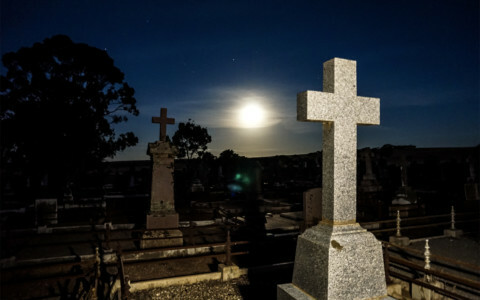 Once known for mining copper but today notorious for being dubbed Australia’s most haunted town. Just like most other small Aussie communities, Kapunda’s main road is adorned with a local pub. The North Kapunda Hotel sets itself aside from others and helps Kapunda live up to its haunted reputation. 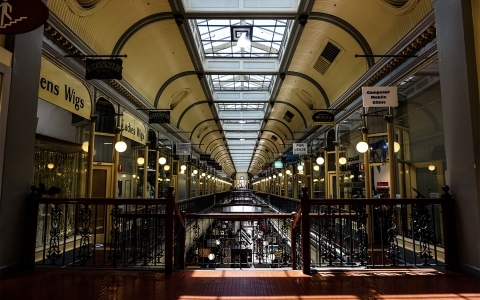 It has been listed as one of Australia’s and even one of the world’s most haunted pubs multiple times, thanks to the many spirits that reside within. Ghostly mural on the wall outside the North Kapunda Hotel. On November 7th 1849 the North Kapunda Hotel opened its doors for business. 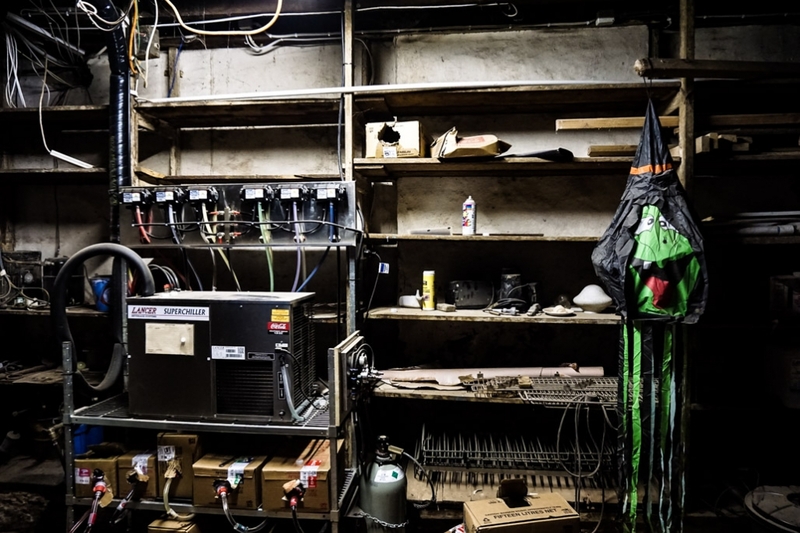 It has played an important part in the town’s history and has seen a colorful past, which has no doubt contributed to the many reports of paranormal activity within the pub. Outdoor area of the North Kapunda Hotel. 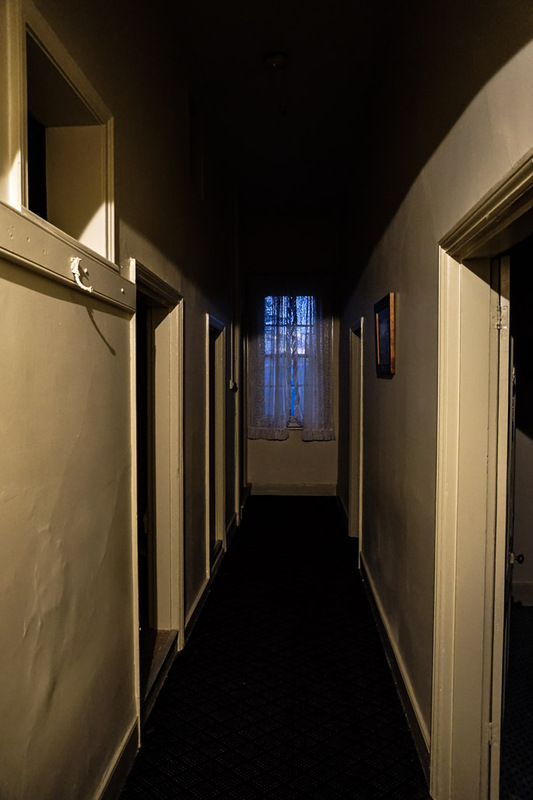 Reports and experiences of paranormal activity are commonplace at the North Kapunda Hotel in South Australia. 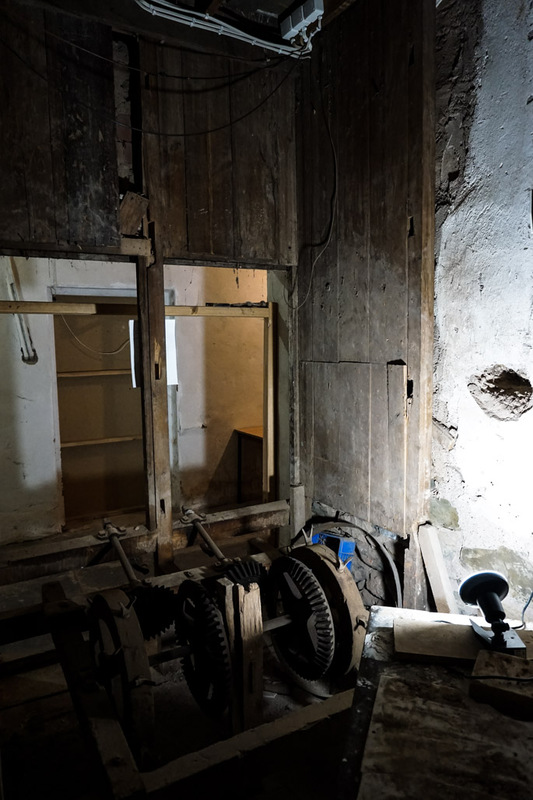 The building is made up of underground rooms, a ground level and one extra floor of former accommodation, all of which tell the stories of the pub’s ghostly residents. 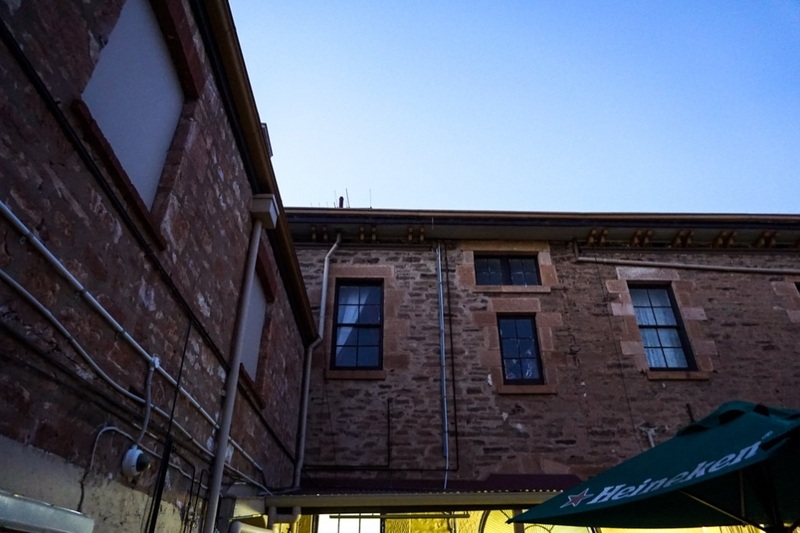 View from the North Kapunda Hotel’s courtyard looking up at the former hotel rooms upstairs. 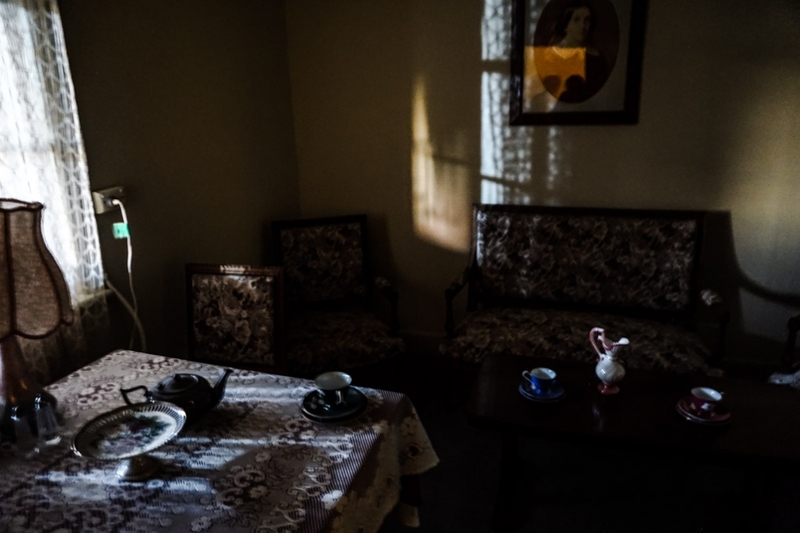 The ghost of Emily is commonly seen sitting in the windowsill on the left. 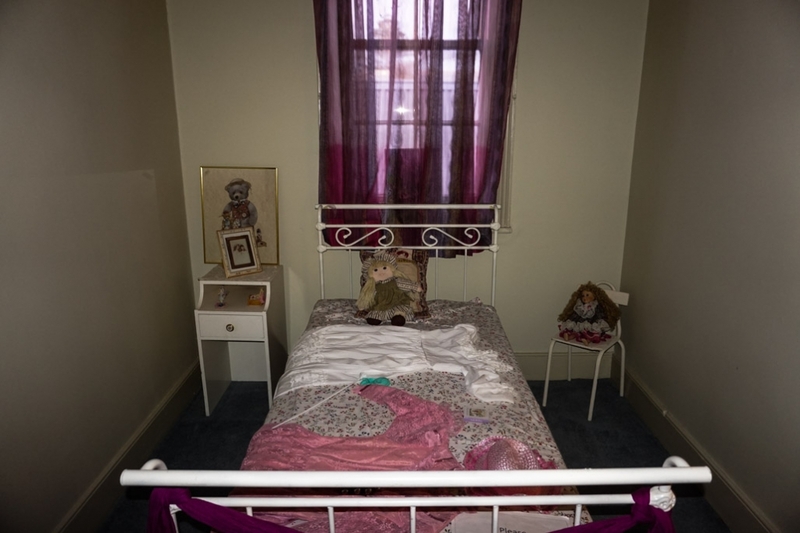 Two young girls are said to haunt the upstairs former accommodation rooms. One of these girls, Emily, is a 15 year old who is commonly seen sitting on a windowsill of a room overlooking the pub’s courtyard. She’s thought to have restricted herself to this upstairs area in fear of interacting with another more malevolent male spirit. Her death and origins are not known. The other young spirit within the house is that of Sarah. Sarah was just 7 years old when she fell from the front balcony of the pub, sustaining a serious head injury that lead to her death. At the time her death was not suspicious and accepted as a tragic accident. Rumors have now surfaced that Sarah was actually pushed from the balcony and she saw her murderer as she fell to her death. Sarah has her own room upstairs where she has communicated with the living. Her ghost is generally playful, yet can be quite particular with how her belongings are kept within this room. Another resident ghost who dwells upstairs in the North Kapunda Hotel is that of Matthew Henry Smyth Blood, better known as Dr. Blood. This particular spirit was Kapunda’s first general practitioner and treated patients within one of the hotel’s rooms. The mysterious Dr. Blood was rumored to have performed strange human experiments in life and mystery continues to surround him in death. His spirit currently resides within the North Kapunda Hotel and a clairvoyant believes he may be linked to the pub as long as it holds a medical bag of his, still hidden somewhere within the building. View of the staircase leading up to the former hotel rooms. A more malevolent spirit within the hotel demands attention and is well known as the man in black. He’s frequently seen wearing all black and a wide brimmed hat. He manages to strike fear into other female spirits within the house and plenty of guests and staff members who’ve been unlucky enough to encounter him. He tends to be quite aggressive, especially towards women and has asked people to ‘get out’ on multiple occasions. One of the North Kapunda Hotel’s rooms upstairs. Yet another well known and sighted spirit within the North Kapunda Hotel is that of a maid. This older woman dressed in 1800’s clothing will appear as a full body apparition near the front desk and make her way into the nearby gaming room. She has been sighted by multiple people and the heavy doors to the gaming room as notorious for opening by themselves. 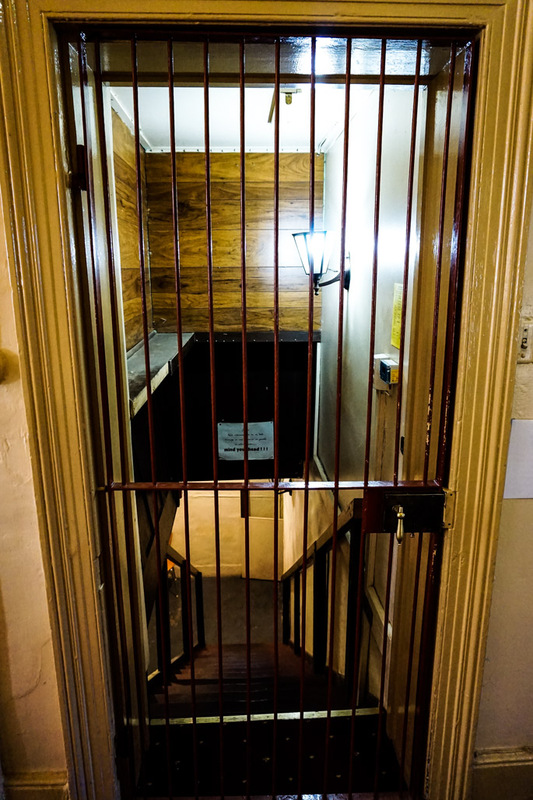 Gateway to the stairs leading underground of the North Kapunda Hotel. Multiple other ghosts crowd this very haunted building. There is a spirit of an Indigenous Australian man who was murdered for revenge after breaking one of the pub’s windows, an older lady who appears behind the bar, a woman and her young daughter seen in the underground dining area of the hotel and even an apparition who appears in a photo of the Queen hung within the hotel. The racks in the cellar where bodies were stored following the Kapunda mining disaster. These known hauntings provide plenty of ghostly happenings throughout the hotel. Disembodied footsteps and voices have been recorded, poltergeist activity is common, electronic appliances are interfered with and people have been touched and viciously scratched upstairs. Underground room where servants once slept. There are many other creepy pieces of history that have formed the pub’s sinister reputation. 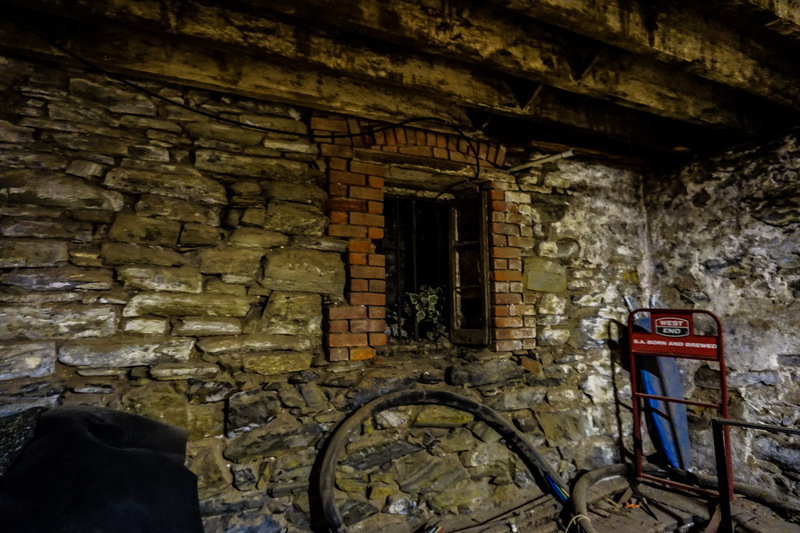 A man was once crushed to death by a hay bail in the pub’s courtyard. 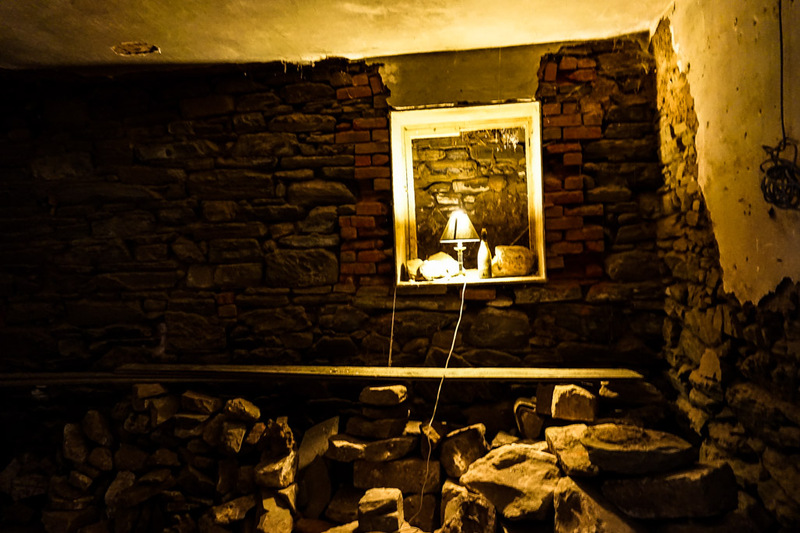 The cellar of the pub was used as a temporary storage space for 32 bodies of men killed in a great mining accident nearby. The racks these bodies were stored in still exist. 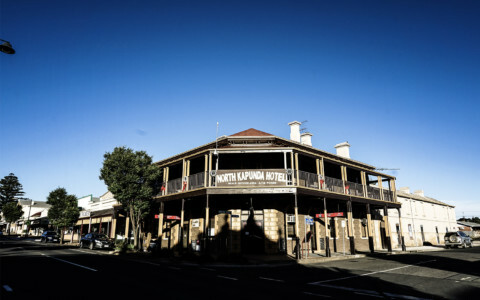 Then there’s the many dark tales of prostitution, suicide and murder that have helped build the North Kapunda Hotel’s notoriety throughout its existence. Another underground room in the North Kapunda Hotel where orbs are commonly seen and captured on camera. 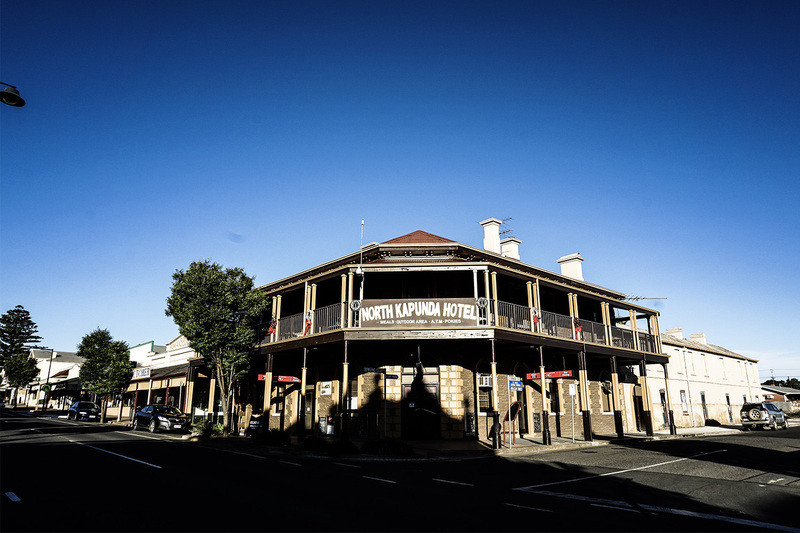 The North Kapunda Hotel is a beautiful old building that houses an awesome pub. It consists of multiple rooms accessible to the general public including a front bar, small gaming room, indoor dining, outdoor dining in a courtyard and an underground dining room which is available to rent for special occasions. The North Kapunda Hotel’s Australian pub menu provides its visitors with a good feed and there are plenty of great drinks on offer too. Staff are extremely attentive, friendly and happy to chat about the paranormal stories the building is famous for. Ask to have a look at their photo album of ghostly evidence caught on camera. Another underground area of the North Kapunda Hotel. In order to explore the most active and haunted parts of the hotel, a ghost crime tour must be booked. 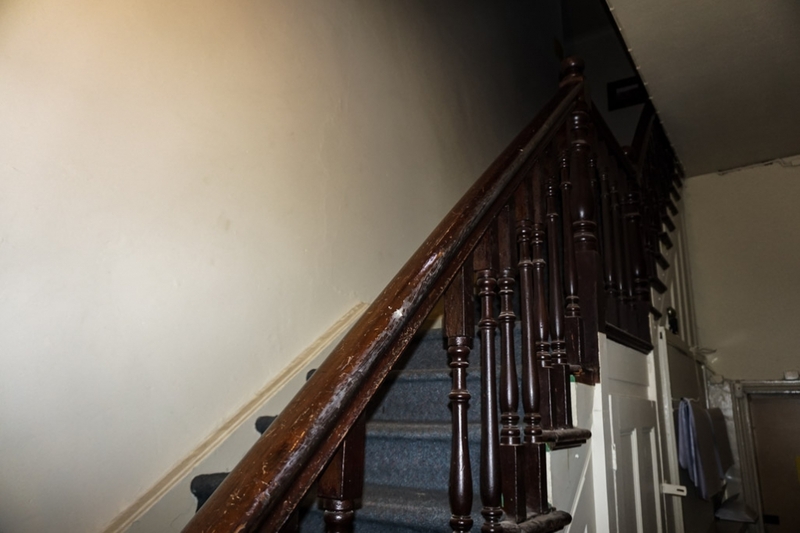 These take attendees upstairs and underground into the unused parts of the hotel while giving an overview of the buildings haunted history. 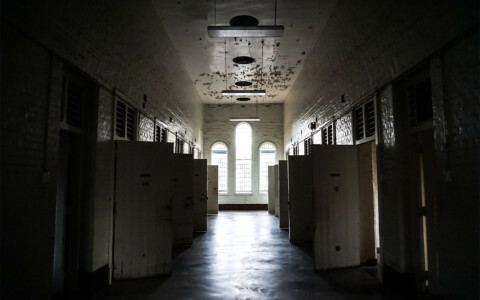 Paranormal enthusiasts interested in visiting the North Kapunda Hotel should also check out the haunted court house and old jail just down the road, as well as the famously haunted St. John’s Cemetery which is a short drive away. Hallway upstairs leading to rooms former hotel rooms. 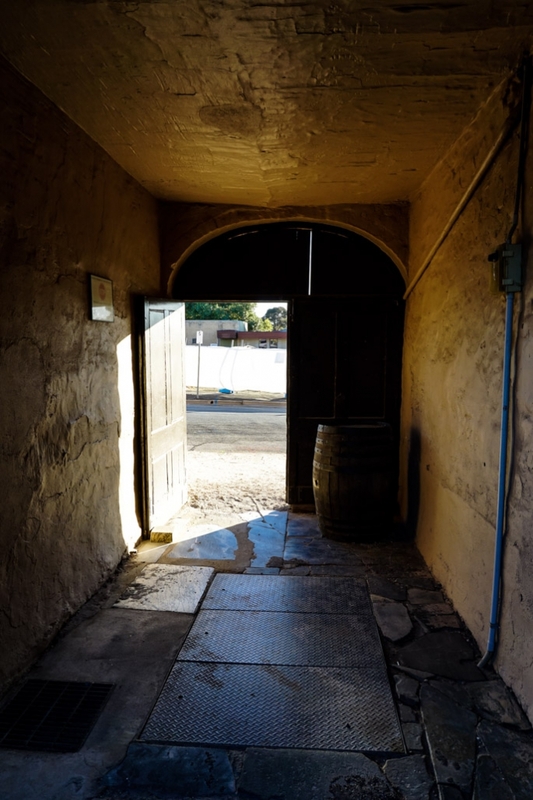 If you enjoyed this article and are interested in exploring other haunted places near Kapunda, check out my blog on Kapunda’s St Johns Cemetery or the Old Adelaide Gaol. Oh my, that picture of Sara’s bedroom! I can’t belive how many ghosts are just chillin’ at the Kapunda pub. So interesting! I’m going to take Granny here, she will love it! I can’t wait to read more! Thanks Chanae. You should take Granny there – It’s a nice day trip and they have good food. what did 15 year old Emily die of? or what was the cause of Emily’s death age 15? was 7 year old Sarah pushed from a balcony by a ghost (spirit) or human (person)? why did former hotel rooms upstairs become former? was it the paranormal activity? Hi Jason. Thanks for the comment. Unfortunately the circumstances of Emily’s death is unknown. It was first believed that Sarah fell from the balcony while playing unsupervised. It wasn’t until later that a rumor surfaced that she was murdered, i.e. pushed by a person. The hotel no longer rents out its rooms and only functions as a restaurant, pub and gaming venue. This is not a result of the paranormal activity, more likely a business decision made by the owners. Thanks for your comment. Bit unfair on Dr Blood I think, he was much lamented as a great man at the time of his death.. Matthew Henry Smyth Blood (b. c.1808) he was a Dr and Artist (Photographer). As Kapunda, South Australia’s first resident general practitioner, Blood was also a keen amateur photographer who was said to submit most of his friends to the ordeal of being photographed. Blood was mayor of Kapunda when the Duke of Edinburgh visited the town and surrounding mines in 1867. Thank you so much for sharing this. It would be so interesting to know how and when these stories and folklore came to paint Dr Blood in this way. Also I am actually working with a local historian as we speak to make some changes to the article to make it historically more accurate. Thanks again for your comment.